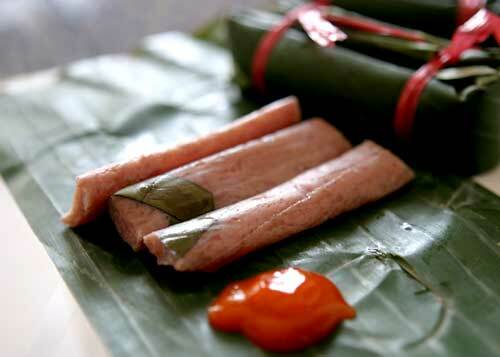 In the Lai Vung District of the Mekong Delta province of Dong Thap, the locals take pride in their Nem chua recipe, which has been passed down through many generations. Called “nem Lai Vung” after the district, it became more widely known in 1975 when a local woman, Tu Man, made Nem chua for visitors. 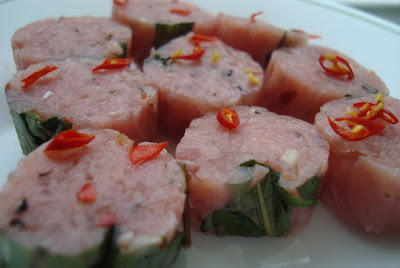 She used pork, but she also used pig liver, and then ground them into a mixture with rice, shrimp meat and seasonings. The characteristics of nem Lai Vung and other specialty foods from Lai Vung District are so distinctive and recognizable that they have been registered under a domestic brand name. Tourists to Dong Thap Province can take part in nem Lai Vung cooking classes to learn more about this regional specialty.